Musowiki.net - my free music community resource. A a one-stop directory for all your Independent music career needs, listed by category, location, and genre. A wiki of services that support Independent music. Free to list your service and free to use. Sponsored placement costs but all content has been supplied by the community. Use it, support it, spread the word and get behind Independent music. The Genre Benders' I am leaving! I am leaving!. All sorts of original songs from Huge's original music project, The Genre Benders. Dirty rock, reggae, country, a lullabye, an a Capella tune and lots of blues - wry rock from the heart. You can buy it in CD format or download from iTunes or listen on PayPlay.fm or on Groupietunes or on Tradebit or Musicishere or you can go to The Genre Benders' home page for more. Bun' Ber E Unplugged. Traditional Celtic tunes played with an irreverent Aussie twist, plus some cheeky originals. You can buy the CDs from CDBaby and the tracks are available for download via MP3tunes.com, with more coming soon! Other artefacts coming soon. Longing for the Day appeal materials - strictly limited edition. 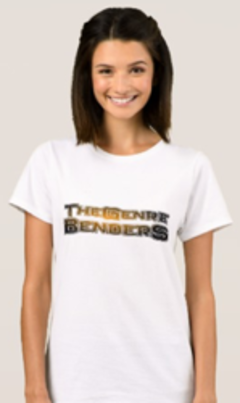 Amazing range of t-shirts, caps, mugs, and so on to choose from at Cafepress. These are priced so that I get US$1 for each t-shirt sold- and a bit less than $1 on most other (cheaper) things. Bun' Ber E's debut CD, Ceilidh. Traditional Celtic tunes played with a twist. Bagpipes, bongos and bass guitar. Mozart never sounded like this before! You can buy the few remaining original CDs from CDBaby or download individual tracks from MP3tunes.com, NetMusic, BuyMusic & Apple iTunes (not from Australia). There's also a range of shirts, etc based on the Ceilidh artwork. Miscellaneous other t-shirts, caps, mugs, etc with witty slogans and cute designs are available from Cafepress. Have a browse. Please Note: all of the items above are sold on my behalf by third parties. I receive only a royalty payment for each one. They are ordered from those third parties and delivered to your postal address. I believe those companies are reputable but I take no responsibility for defective products or tardy delivery. You have to take that up with them - sorry.